In medium size mixing bowl, whisk eggs and milk, add oil, and fold in Bisquick mix. Mix well and set dough in refrigerator for at least 30 minutes. The Bisquick is a little gritty, so I like to let it set to absorb the liquids as long as possible. When ready to bake, grease a 12 inch pizza stone or nonstick round baking pan. Pour dough onto pan and spread dough with your hands until completely covering pan and forming a raised crust around the edges. 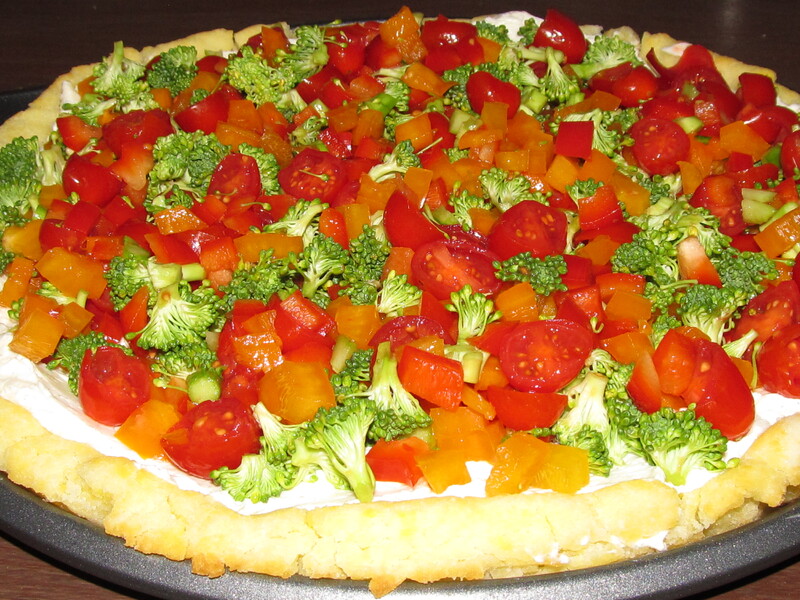 Bake for 25 to 30 minutes or until crust is lightly browned. Let crust cool and cover with filling below.